A lot has already been covered at ShoutMeLoud about various website hosting providers and a lot of reviews could also be found here. But the thing is, if you have a brilliant idea for a website, the first thing that you’re going to need is your own TLD (Top level domain). So how do you buy the cheap domains and pick the best domain names registrar? What most of the internet users that I’ve come across do is that they go with the same domain host for their domain registration. Although there isn’t any rule that your domain registrar and host shouldn’t be the same, but you should get the best individually. If you can find a good host someplace and a great domain registrar someplace else, you should stick your guns with it. 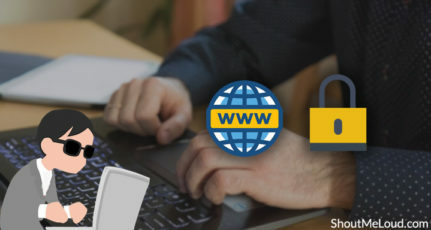 This also has a security advantage, as if someone get access to your hosting account, your domain name will still be safe. 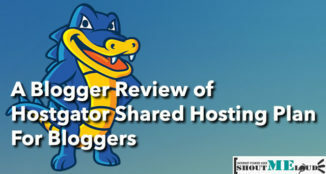 A little is being talked on the internet about cheap and good domain registrars and people usually tend to go with whatever seems plausible or what your competitor has gone with. Who has the best mix of pricing, services and support? etc. But not if someone is there to guide you. 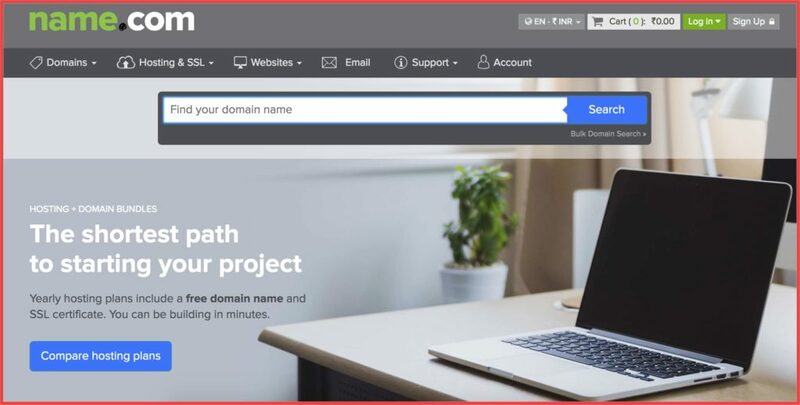 This article is intended with the sole purpose of shedding some light on the cheapest and best domain names registrars on the internet right now. 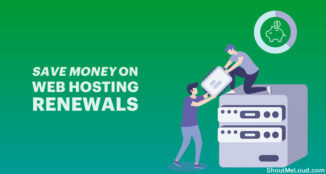 Below are 5 of the best and cheapest domain names registrars that provide you with quality performance and support for a cheap deal. The daddy of all domain registrars – or so they say! They are the most controversial domain registrar on the planet and controversy seems to find a way through them every time. 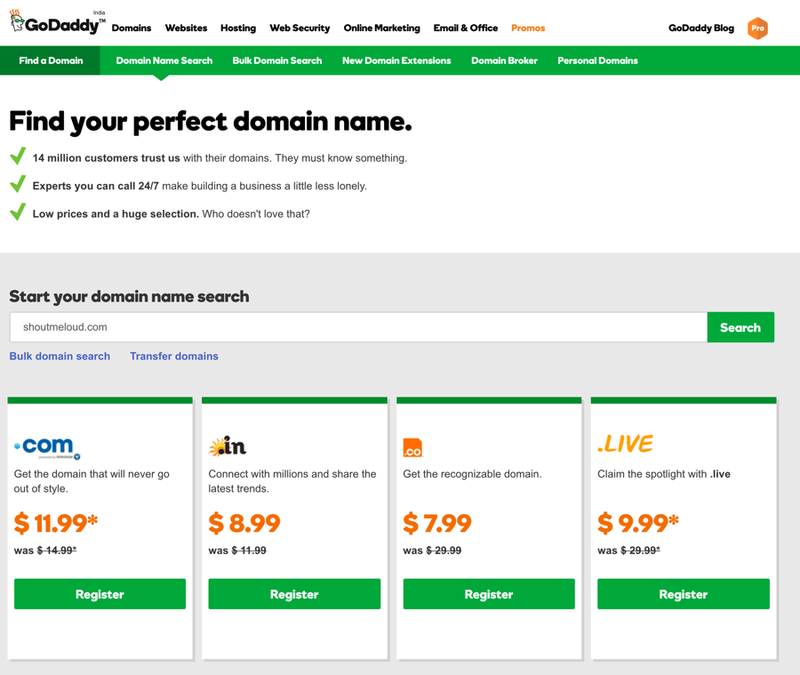 GoDaddy offers .com domains cost $2.39 per year for new users, and for already registered users, it costs $11.99 for the first year and $14.99 for every year after that. They are still arguably the leaders of domain name registrars and there’s no reason you shouldn’t be checking out what they have to offer. They offer many localized payment option which is great for anyone who doesnot have international debit or credit card for online payments. With .com domain names starting from $9.99/year, Domain.com offers the cheapest domain names registration service. They are one of the popular choice for domain registration. With .mobi domains at $2.99/year to .net and .org priced at $8.99/year Domain.com is one of the best value for money domain registrars. Domain.com has a lot to offer given its low price. At this moment, Domain.com offers following payment option: PayPal, Visa, MasterCard, Discover, American Express. Name.com is one of the industry standard cheap domain registration service. 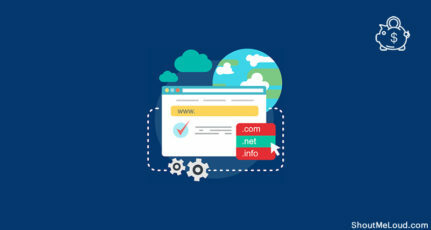 With .com, .net and .org domain registration starting from $12.99/year, they have to offer great support, cheap registration and their host of experience in this field for registering your domain with them. Name.com isn’t the cheapest, but they have flexible pricing plans and personable customer support. 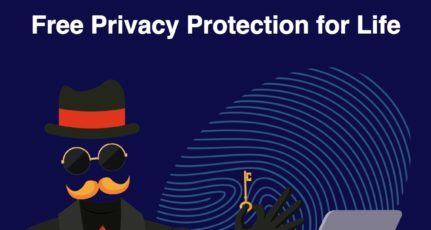 Name.com also offers “Domain Nabber” services to grab expired domains that may be relevant to you or your business. 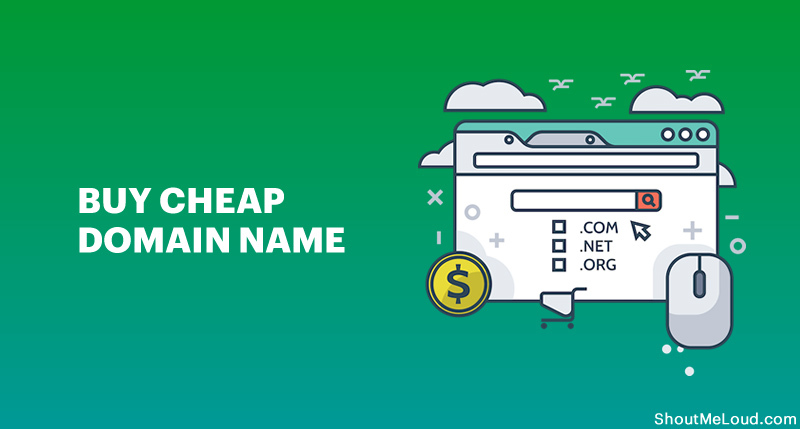 The pricing is high for expired domain names, but you might end up picking one of the best names for your next online venture. 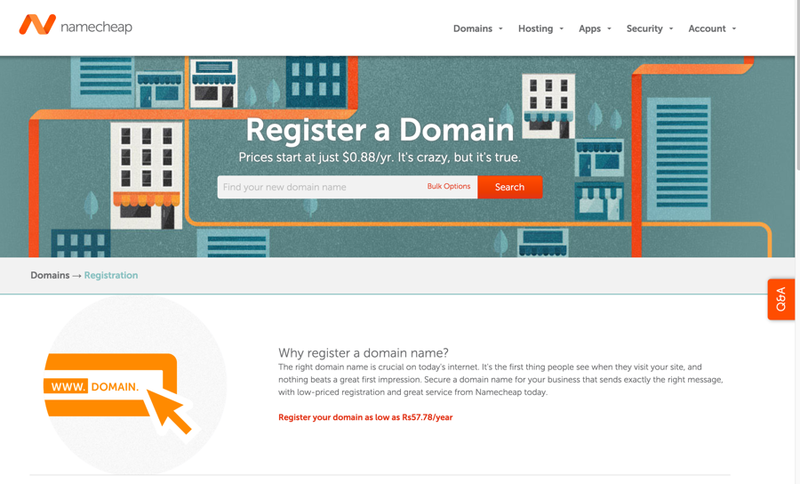 Namecheap is another cheapest domain name registration buying the domain name. With .com domain names for $11.69/year and .net and .org domains for $11.48/year, they are a decently cheap priced domain registrar. The service and support are great and you get a host of features with them. The only additional fee that they add to their service is an additional 18¢ for ICANN registration/year. Namecheap is also considered as one of the best alternatives to GoDaddy service. Cloudflare is the best domain registrar that doesn’t charge any markup on the domain name purchase. You will be literally paying only what the TLD’s charges for the domain name and this is something no one else does. I moved all my domains to Cloudflare already. 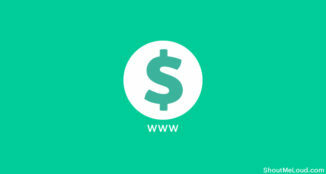 See the domain name pricing to understand how much you would be saving. Consider pricing and value thoroughly. Make sure you’re going through an ICANN-registered registrar. Check out for hidden fees and fees for transferring or releasing. Check to see if you get any Email accounts/Email forwarders. Consider add-on services like free who.is guard. Check policy for domain transfer. 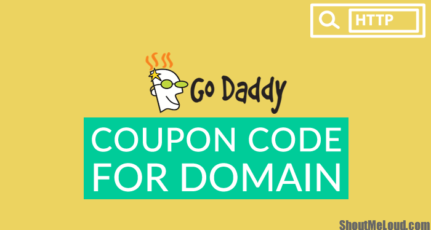 For example, many registrars like GoDaddy will not let you transfer domains outside of Godaddy for 60 days. So, out of these which domain registrar you are using for buying domain names? If you using any other domain name service, do let me know via comments. Don’t forget to share this domain resource guide with your friends on Facebook and Twitter. I Planned to start a tutorial website for android. Mainly i starting because of monitization. My plan is to monitize my website with ads. 1.Monitization works in all domains? 2.Is there any special plan for website ads? You should opt for self hosted WordPress. I believe right now you are checking WordPress.com which has a lot of limitations. Hello Harsh, I love to read the list of domain service providers. I thought hard and planned to go with GoDaddy. I hope I won’t regret my choice.